The Bordeaux stadium tour costs €11. You can buy your stadium tour ticket online or in the tourism office. 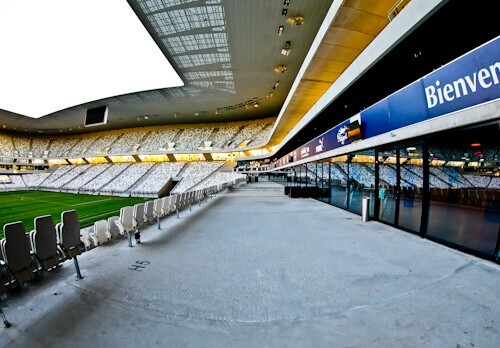 Stadium tours are available in French only. 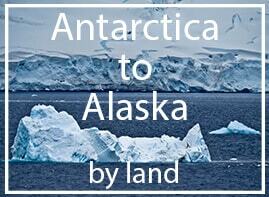 The guide will give explanations and answer your questions in English. If you’re lucky Bordeaux will be playing whilst you’re in town. Tickets to see them are very fair and start at €10. You can purchase match day tickets online or at the stadium ticket office. It’s very easy to get to the Bordeaux stadium. There is a tram station nearby. You take the tram C from the center to the last stop, Parc des Expositions. Once you arrive at the last stop you’ll see the stadium. 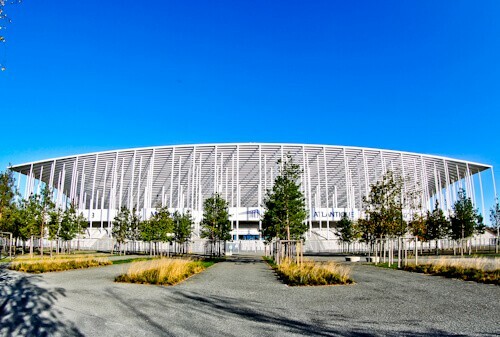 The official name of the stadium is the Nouveau Stade de Bordeaux. It is referred to as the Matmut Atlantique as this is the company which sponsors it. You can immediately see from looking at the stadium that it has the same designer as the Birds Nest in Beijing. There are over 1000 poles supporting the structure. These also provide water and electric to the stadium. The stadium hosted 5 games in Euro 2016. The most famous game it hosted was the quarter final between Germany and Italy. Germany won on penalties which is no surprise. The stadium has been designed so that the team bus can drive into it. When the players exit the team bus they are already at the dressing room. The stadium also hosts rugby matches and concerts. At the time of writing, Guns and Roses were due to perform at the stadium. To get all the equipment required into a concert, you can drive a truck right onto the pitch. 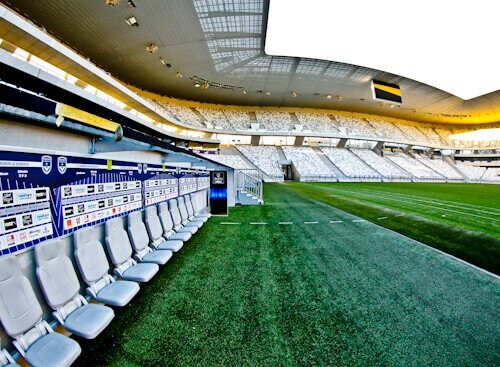 The Bordeaux stadium has a mix of grey and white seats. Is this a little dull? The complete opposite to this stadium would be that of Sporting Lisbon. The Sporting Lisbon stadium has multicolored seats. The capacity of the stadium is over 42,000 seats. Wherever you sit in the stadium you are guaranteed a perfect view of the pitch. As part of the tour you are free to ascend to the top of the upper tier. Whilst the French speakers are ascending to the top is a good time to ask the guide questions. It’s possible to buy a VIP ticket to the match. This ticket includes food, drinks and preferred seating to watch the match. The only location you could occupy better than this would be an executive box. You’ll need an invite for that though! 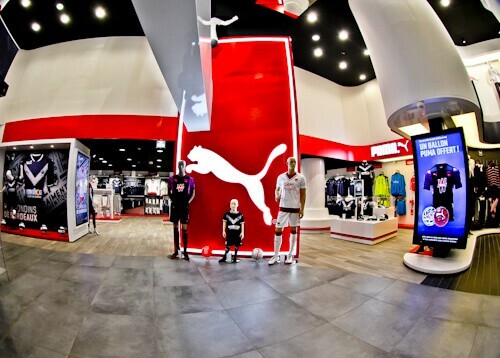 As part of the tour you will visit the Puma executive box. Puma is the current kit sponsor of Bordeaux. You can sit in both the home and away technical areas. The home and away seats are exactly the same. The home team always sits on the right as you exit the players tunnel. So many famous footballers have sat in this area. In the famous quarter final between Italy and Germany there were several superstars and world cup winners here. You can sit and take your Instagram photos where all these stars have been. 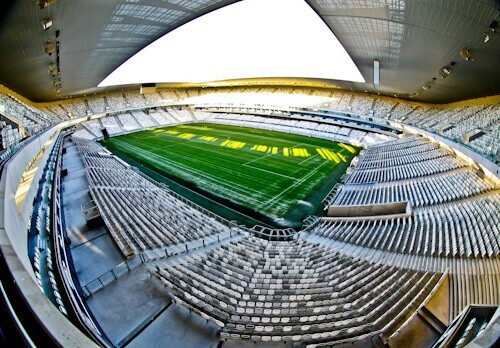 Regular visitors to the Bordeaux stadium are Paris SG and Monaco. Both these teams are full of superstars. A ticket to watch Bordeaux play either of these teams would be very desirable. 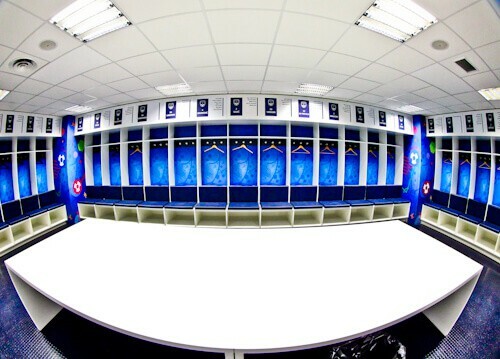 The home team dressing rooms are unique in set up. Lockers are assigned by shirt number. All previous players of that shirt number are listed on that locker. The Bordeaux number 7, Malcom has Zinedine Zidane written on his locker. Zidane used to play number 7 for Bordeaux. This reminds Malcom each game of the greats that have played there before him. On the stadium tour you do not visit the away team changing rooms. I was told the changing rooms are exactly the same as the home teams. The only difference is that the colors are plain in the away dressing rooms. The reason you do not visit them is because you are here to see the home team! The press room is huge, probably the biggest I have seen. The photo (above) only shows a small portion of it. 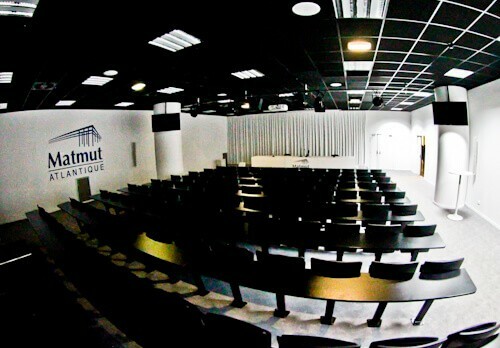 This is where Antonio Conte gave his press conference after Italy lost on penalties to Germany. It will have been completely full before and after this match. You will walk through the journalist area. This is a huge area of empty booths. During matches journalists will connect their laptops here and contribute any important pictures of the match to be published. 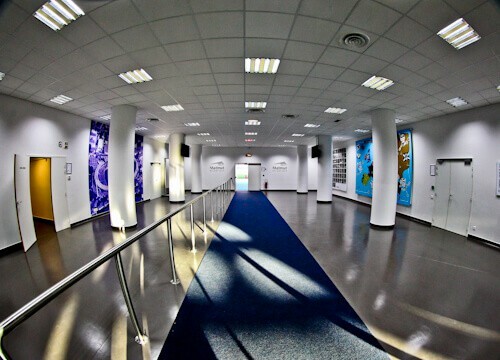 After the stadium tour you may visit the huge club shop. You may have been converted to a Bordeaux fan or may just want a souvenir. It can get very hot in Bordeaux so the club shop is a good place to cool down. Although the tour is in French the guide will explain the facts in English to you. When I was on the tour as well as the guide explaining things to me in English, the Bordeaux fans taking the tour were happy to translate. Of course being proud fans of Bordeaux they wanted the world to know about their team. At the end of the tour the guide asked if I had any more questions. He was genuine and wanted to make sure I’d enjoyed my stadium visit. I am football fan myself (only when it comes to the bigger event like the worldcup) and it is a cool idea to visit a football stadium! Would love to visit one of the bigger italian or spanish teams like the real madrid! I imagine this would be any footballers dream! Your photo’s were very striking, we hosted the world cup here in South Africa a few years back! I wish I went just for the experience but it was really hard to get tickets. 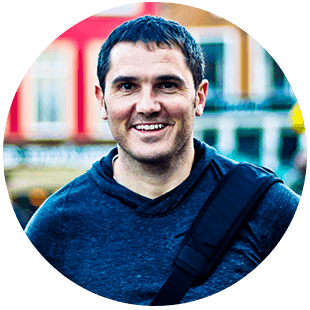 It sounds like you had an excellent time here James! I’m no football fan, but for this price, I’d visit the stadium, it’s so cheap! It’s nice that the fans also wanted to translate for you, that’s real passion there! I love the design of these dressing rooms, modern!! But that’s just me! My husband may set off to the football stadium all by himself instead of wine tasting… Haha!!! Looks like a really impressive stadium. Who would have thought visiting Bordeaux that you should do a stadium tour! Too bad that the tours are only done in French, but it’s still worth checking this place out anyway, especially being able to explore the parts of the stadium not usually opened to the public. Though I am not a football fan, but your posts and photographs of stadiums have changed my interests. Those green pitches are so lively and I love those lavish dressing rooms of players. Bus transporting team driving straight into stadium is unique feature of Bordeaux stadium. You correctly said seating area should be in bright colors as grey appears dull. Will wait for another stadium reviews. My boyfriend would love this! I’m not really into football but can still appreciate a tour of the stadium and learning more about such a huge piece of architecture. I bet it would be thrilling to watch a game there! It’s always interesting to visit football stadiums especially those of the big team. When I go away I tend to go with my other half and I have to do at least one thing he likes, haha and I think that he would love this one. Great post and impressive stadium. I haven’t been to any football stadium and this tour post is quite inviting. I am loving this massive stadium and wondering how it would have been watching a live match with the live audience. I haven’t experienced it so far. Bordeaux Stadium Tour is quite interesting. Loved it. I never thought of visiting a football stadium before, maybe because I do not follow football. But after reading your post, I think I would love to know about the intricate details of the next one that I get a chance to explore. It is always good to learn about stadiums too. Thank you for the virtual trip to Bordeaux stadium. Cool architecture! I’ve only seen gigantic stadiums like these in movies! In Bordeaux it’s cool you get to see an actual one. Would be so nice to go on match day along thousands of other fans! The prices are so low too! 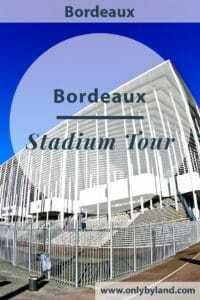 Bordeaux stadium tour is definitely my cup of tea ..Love visiting football stadiums – did back in Barcelona. It was amazing to catch a match at Camp Nou. Now this one has to be on the list as well. The Bordeau Stadium looks really spectacular. Looking at the pictures I was imagining how it would be when the crowds poured in and a match was in progress. Surely the stadium would erupt to the sounds of cheering. I think it is a boon for football aficionados that there is a provision to tour the stadium.